Social change and conservation has been my passion for four decades, focusing on building international cooperation to achieve ambitious projects. It has been fun. Working in that direction, came the satisfaction of creating a series of national parks across the Himalaya. That all got started because after three decades of searching... 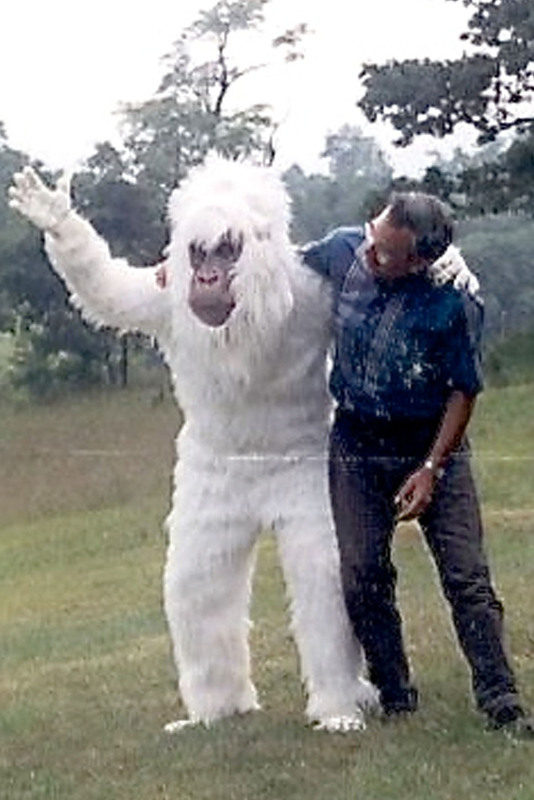 I was able to explain scientifically the mystery of the Yeti or Abominable Snowman; that story is told in the book YETI (Oxford University Press, 2017). Yes, the Yeti exists: mysterious unexplained footprints have been found for over a century. Myths and legends do not make footprints repeatedly found and photographed. Some real animal is needed to make these footprints. The length of the Himalaya was searched while trying to unravel this mystery. During those decades of searching, I co-founded and led The Mountain Institute and its worldwide programs. Then came deep fascination with what causes social change, especially how can communities advance when there is no group helping them—I was deeply worried about the futures of the marginalized communities around the world. As a result, I founded the nine Future Generations organizations worldwide (including Future Generations University). That Yeti search though, after explaining the animal mystery, led first to creating Nepal’s Makalu-Barun National Park. Then, traveled into China, where in close partnership with the Tibet Autonomous Region, a ten-times larger park was founded: Qomolangma (Everest) National Nature Preserve. We were spending a lot of time in Lhasa negotiating, so while there we got the government excited about urban conservation, and the 1,200 acre Lalu (Lhasa) Wetlands National Park was founded; as the city was rapidly growing then, it grabbed this large tract of land immediately behind the magnificent Potala Palace. After that came a park nine-times larger, the Four Great Rivers Nature Preserve, forty million acres, and protecting one-seventh of China’s forest reserves. Along the way in developing these parks, our team worked with the Tibetan Autonomous Region government to implement a Tibet-wide ban on the commercial sale of all wildlife. Being in these great places led to some great pictures – publishing in National Geographic Magazine, the Patagonia catalog, even having my photographs stolen then finding them for sale as postcards. But the deepest satisfaction comes from taking ideas and gathering a team to turn them into implementation. Money is important, but it is not critical. Most important is mobilizing human energies, and doing this at scale across a population. Thinking, studying, working with others, from all that evolved the SEED-SCALE method, an understanding of social change initiated by a UNICEF task force that I co-chaired from 1992-95. The task force gathered conceptual breakthroughs in empowerment-driven social change into a unified approach. The process can be used in conservation, health, poverty reduction, even peace making. Since 1995, applying this approach set up global field trials of SEED-SCALE, and describing all that are especially two books Just and Lasting Change: How Communities Can Own Their Futures 2nd Edition (Johns Hopkins University Press, 2016) and Empowerment: From Seeds of Human Energy to a Scale of Global Change (Oxford University Press, 2011). Authoring these books is deeply satisfying... for their evidence shows we, as people, can improve the environment and our circumstances. A process can be learned. Writing is fun—especially when writing about fun topics. The Mount Everest Guide to Off-road Driving has, to my great surprise, become sort of a best seller. I had so many field notes from 45 trips and expeditions to Tibet that I wove all those into a novel, CAIRNS, about Old Tibet. Crashing around the Himalaya for more than half a century has gotten me into fantastic adventures, such as 12 first ascents of peaks and two first descents of Himalayan rivers, and the first ski descent of Mt Logan, in Canada’s Yukon Territory. Doing all that is fun—that’s why you do it. But they bring honors too such as being knighted by the King of Nepal Gorkha Dakshin Bau III; being made the first Honorary Professor of Quantitative Ecology by the Chinese Academy of Sciences; and even decorated with the Order of the Golden Ark by HRH Prince Bernhard of The Netherlands. An octagonal three-bedroom house, where I cut down the timber and hammered it all together, then put up a 4,000kw wind generator to give electricity. Homebuilt airplanes too. They are made out of fiberglass and look unusual because the little wing is up forward and the big wing is behind. The first plane is called a VariEze, carried two and flew at 130 mph; the second plane called a Defiant was a twin engine, carried four people, and flew at 165 mph. Making Leather Bags is great too... especially when otherwise sitting in meetings where the talk was going on and on, but I had to be sitting there.